Unique deciduous shrub with interesting gnarled, twisted branches and showy greenish-yellow catkins brighten the winter scene. 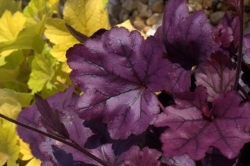 Before the leaves drop, this shrub displays terrific fall foliage color. Does well in large containers. 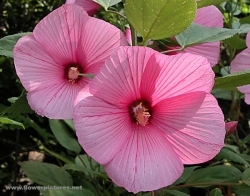 Nice evergreen shrub blooming white or vibrant pink in the summer. 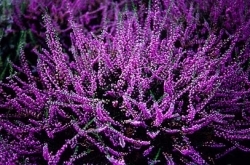 Heather thrives in poor soil if properly drained. Beautiful when mass planted. 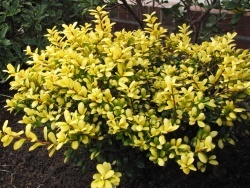 Works well as a small shrub border or massed on a slope. Torsen's weeping hemlock is very unique. Its growing manner may be left to crawl along the ground or cascade down walls. The other option is to stake it at the desired height and the green branches will grow like a flowing train of hair resembling 'Cousin It' from The Adams Family. Golden-yellow upper leaves and green underleaves makes this a nice colorful hedge. 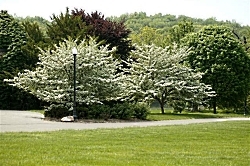 Also an excellent choice for a foundation planting. Plant in full sun for best color. Too much shade will revert leaves to green. 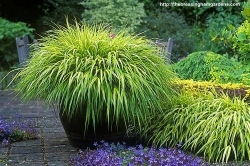 Great container plant for either side of entryway. 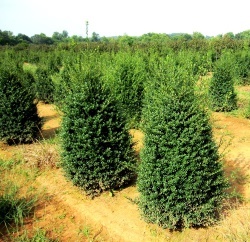 'Jersey Pinnacle' is a dense, compact evergreen with an upright growth habit and glossy, dark green leaves. 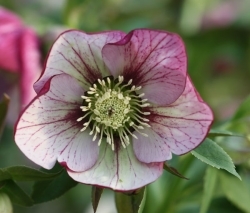 Can adapt to sunny or partly shady areas. Prune any time to maintain size and shape. Great as a foundation plant or as a hedge.